Nice, typical fine carving to top upstand gallery. 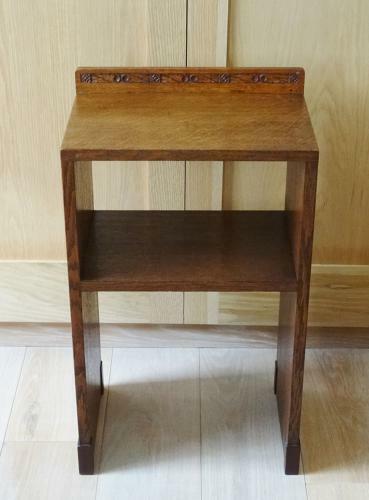 Ideal for use as an occasional side table/bookshelf unit or a bedside unit. Approx 26" overall height, 15" width, 10" depth.